Sample extraordinary cuisine buffet style from all over the world on six show cooking stations and while enjoying some or the rising stars of the wine world. Open for breakfast, lunch and dinner. Enjoy a fantastic selection of buffet dishes with live cooking stations in this sand floor restaurant., and live cooking stations. Each night offers a different theme inspired by cuisine from around the world. 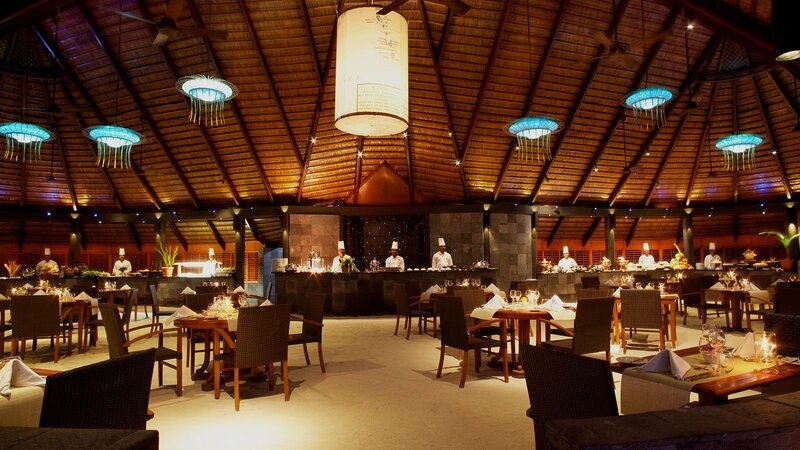 Offering culinary choices from around the world, Falhu restaurant sends diners on a mouth-watering journey of discovery. From seafood dinners to French cuisine, local Maldivian specialities and Asian delights, these themed dinners are a perfect way for you to experience dishes from around the globe. The right wine with the right food is a simple statement but difficult to define. In reality the right wine is the one that you enjoy drinking. The extensive wine cellar at Komandoo means that diners will always have an enjoyable option for all meals. For those who require guidance our experienced team are always happy to introduce you to something new. What’s the dress code in Falhu? Falhu has a very relaxed dress code -– however, the only requirement is that you do not wear swimwear. Shoes are optional, and with the floor being sand many guests prefer to be barefoot. Is Falhu restaurant able to accommodate dietary requirements or preferences? There is a wide selection of options at every meal and a variety of dietary requirements can be accommodated for. Please communicate any restrictions or allergies to our team. Is dining at Falhu included in Komandoo’s all-inclusive packages? 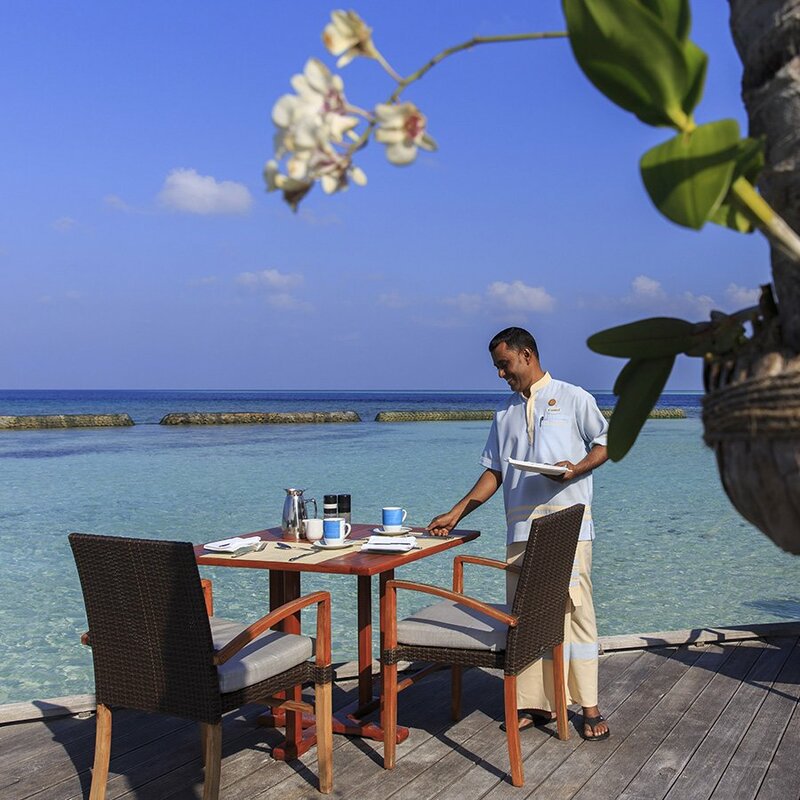 Yes, guests on all-inclusive package will have all their meals in Falhu included. Is it possible to eat outside of the dining hours? A selection of bar snacks can be ordered outside of regular dining hours, and room service is available at the resort.